Corn is also known as Sweet corn, Maize or Sugar corn, is much used as a vegetable loaded with a number of nutrients which are beneficial for the body. Corn is said to be a vegetable, but actually, it is a food grain. Corn has a high amount of both soluble and insoluble fibre and there are several reasons for including corn in your daily diet. It is loved by adults and children alike because of its sweet flavor. The best part of corn is high rich vitamins ,fibre and vitamins. Let’s see some of the amazing health benefits of corn here on this page. Carbohydrates are essential for physical and mental well being. A cup of sweet corn offers the body 31 grams of carbohydrates which is enough to meet daily requirements of carbohydrate needs. Our body needs proteins to build muscles, for cell repair and to boost immunity. 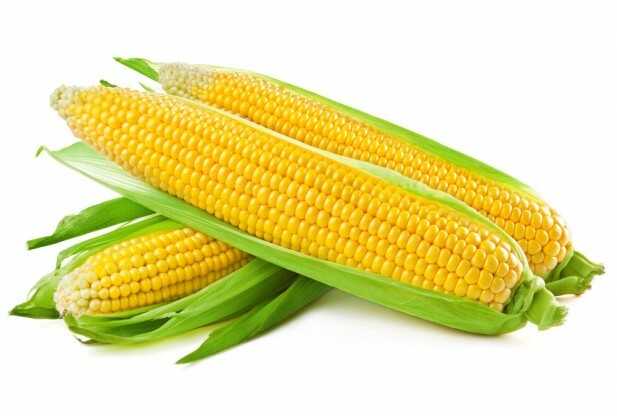 Sweet corn can be used as a side dish to boost protein amount of body. A cup of sweet corn offers the body more than 5 grams of proteins needed by the body. Corn has a high amount of both soluble and insoluble fiber. Daily eating of corn can help your digestive process. Soluble fiber stops cholesterol by making a gel consistency. Insoluble fiber is helpful in making stool soft; so, it helps to decrease the possibility of diarrhea, constipation, Irritable Bowel Syndrome, along with stomach troubles. Anemia is the disease caused by the deficiency of vitamin B12 and folic acid. As per the medical researches, corn is usefull in prevention from anemia as it contains a vitamin B12 , Folic acid and iron which are very essential minerals to cure Anemia. Sweet corns are loaded with potassium which helps in building bone strength, in muscle contraction and are necessary for heart function. Corn starch is mostly used as a ingredients of cosmetics products. It can be used to applied for the irritation and skin rashes. Those who want to reduce weight, should include sweet corns in their diet as it is rich in fiber and helps to keep away hunger pangs that means eat less and remain full for long. Having corns with vegetables or in a soup is great for weight watchers. The health benefits of corn include in treating diabetes. A corn contains phenolic phytochemicals that control the release of insulin in the body. So, sweet or baby corn is suggested for the people with diabetic. Besides, corn is high in pantothenic acid. Vitamin B in corn can absorb protein, lipid, and carbohydrate in the body. Eating corn can keep the adrenal glands role in good condition and therefore, stop anxiety.